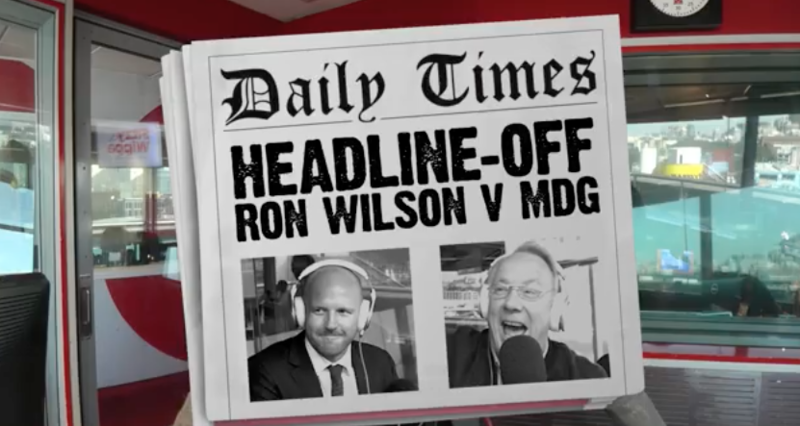 Media legend and SmoothFM 95.3 newsreader, Ron Wilson, stepped up to the plate this morning, going head to head with Fitzy & Wippa‘s Matt de Groot for a good old-fashioned headline-off. After having a chat with Ron, the NOVA pair set the challenge for the newsreaders to come up with the best headlines from some of the week’s most high-profile stories. Topics included Starbucks recent efforts to go green, Japan overtaking Bali as the number one Aussie holiday spot and Charlie Sheen‘s Australian tour announcement – the latter of which caused Matt to create quite the gasp-worthy bulletin. Check out all the action and find out who came up on top below.